MoviePass decided to offer a big shakeup last week when they announced that their service, which allows moviegoers to see one movie a day, every day, would get a price slash to $9.95 a month. That is a strategy that has paid off handsomely, despite the fact that AMC, America's largest theater chain, has pushed back against the service and is doing their best to bury it, even threatening with legal action. Despite that, MoviePass has added a staggering 150,000 new subscribers in under a week following the announcement of their price reduction. According to Deadline, MoviePass had hoped to cross the 150,000 subscriber mark in late 2018 after they announced their price cut. They got it done in just a couple of days. Deadline states that, prior to the news of the new pricing model, MoviePass had only 20,000 subscribers. At that time, the cheapest level of membership was $14.95. Apparently, just $5 can make a massive difference. 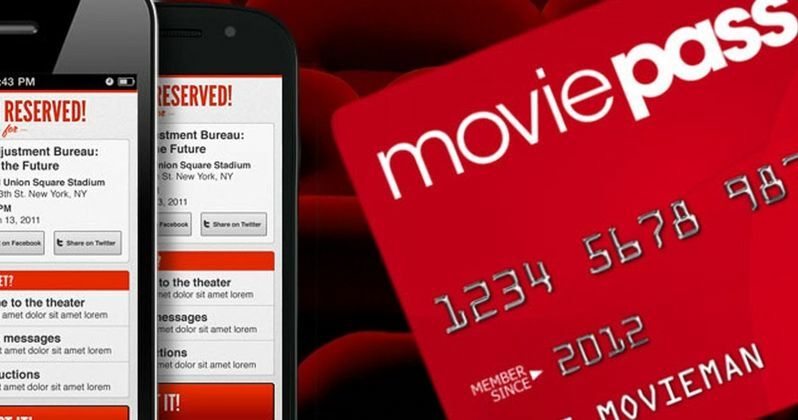 In case you aren't familiar with the service, MoviePass sends its users a debit card that they can use to see up to one movie a day. This can't be used for 3D or IMAX movies, but any standard 2D movie is fair game. New releases included. MoviePass pays the theater the full ticket price, which in many cities is more than the cost of a monthly membership. The company may lose money now on subscribers who use the service heavily, but the hope is that they can profit by negotiating deals with studios and theaters once they demonstrate that they can significantly increase attendance. And they are already well on their way to making that happen. Related: Major Studios to Begin Fighting for Early VOD Releases in 2019? Helios and Matheson Analytics recently purchased MoviePass, which is the reason for the price change. According to their numbers, two unidentified theater chains who have partnered with the service "reported outstanding attendance by MoviePass subscribers." If that can continue, MoviePass may become very attractive to theaters. Even though they aren't paying for tickets out of pocket, they are still buying concessions, which means the theaters are still going to make money from MoviePass users. It should be noted that there are some possible drawbacks, at least for now, for those who are thinking of signing up for MoviePass. For one, most theaters don't allow for users to buy tickets ahead of time. Users have to be within 100 yards of the theaters in order to purchase their ticket, which can be really inconvenient and prohibitive for movies that are going to be very busy on opening weekend. There are some theaters that allow for users to reserve seats, but there aren't many and AMC recently blocked this feature at some of their theaters in protest of MoviePass, so for now, this will work best if you don't want to see big movies right when they come out. Despite the success MoviePass is enjoying right now, AMC could rain on their parade. The theater chain is threatening legal action to try and not allow the service to be used at their locations. AMC feels that their business model isn't sustainable and may leave consumers feeling that movie tickets are overpriced. With declining sales at the box office, something like MoviePass can help provide a big boost, especially for smaller movies. Not only that, but 150,000 subscribers have proved that if going to the movies is more affordable, people will go.